A social psychological approach called the theory of planned behaviour tells us that one of the factors that influences people’s behaviour is their perception of social norms. That is, the ways we think society in general believes people should behave. When it comes to dog training, many of us have the belief that dogs should be treated with kindness, that our pets are treasured creatures who deserve to have choices in life and to be trained in ways that will provide joy and enrichment. At least, that’s how regular readers of this blog feel. That’s one of the reasons I feel privileged to have such amazing readers. (Thank you!!). But when we look at wider society, we can see that some people have quite different perceptions of social norms around dog training. 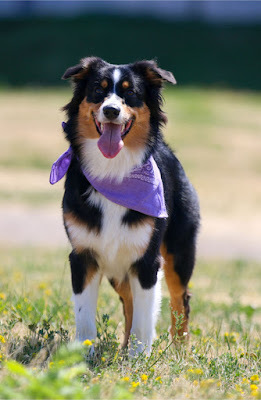 When we see TV programs demonstrating the use of shock collars and alpha rolls, bookstores selling dog training books that promote punishment-based approaches, and random internet people (or even celebrities or veterinarians) recommending trainers who use aversive methods, we can see a very different kind of social norm being created. 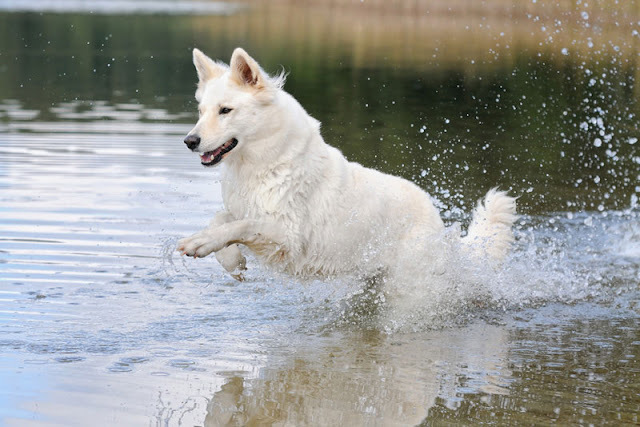 One way to counteract this is simply to spread (and keep on spreading) good quality information about the best ways to train dogs, effectively and with kindness. But the way social media is designed can sometimes feel like it is working against us. Algorithms that promote posts that receive a lot of comments can make controversial posts spread like wildfire, which means that sometimes arguing against things on Facebook might backfire. At the same time, it is important for there to be voices of reason and humanity, so the choice to engage or not is a personal one every time. Social psychologists know that even one different voice in a sea of similar opinions can make a difference. "People should be encouraged to make their voices heard, not just to directly persuade, but also to influence people's perceptions of norms and the prevalence of opinions, so that false-consensus effects do not arise. Even a few dissenting voices can shift the perceived social norm (i.e., the perceived range of acceptable views), thus legitimizing opposition and encouraging evidence-based discourse." We can put those social media algorithms to good use when we see material we like. Positively reinforce the author by leaving a nice comment, and then again by sharing the post, and we’re telling those algorithms that this is the kind of content we want to see more of. Sadly the world is full of erroneous information about dogs (and many other topics too). The problem is that countering misinformation is a tricky thing to do (Chan et al., 2017; Lewandowsky et al., 2017; Schwartz et al., 2016). We often hear these days that countering arguments with facts won’t change people’s minds. Actually it’s kind of complicated, and something we need more research on (if any communications scholars would like to take on the dog training world, there’s plenty of material here). But one really important thing to remember is that repeating misinformation – even in order to correct it – can have a different effect to the one intended, in part because it causes that misinformation to feel more familiar and gives it the illusion of truth. This is called the illusory truth effect: repeating lies makes them seem more true. This is one reason debunking false information can backfire. If you must repeat the misinformation, at least preface it with a warning (e.g. “Some people still believe in the outdated notion that…”). And then give some correct information to take its place (e.g. “Your dog is growling because she is afraid”, mention the body language signals that demonstrate this, tell them what to do to make things better). "Overall, behavioral research shows that often the best strategy in the fight against misinformation is to paint a vivid and easily understood summation of the truthful message one wishes to impart instead of drawing further attention to false information." Another reason not to repeat misinformation becomes obvious when we think about how dog trainers talk about punishment. One of the problems with using punishment to train dogs is that it only teaches a dog what not to do; it doesn’t teach them what to do instead. Similarly, if we keep repeating misinformation in order to correct it, we are not spending that time teaching people what they should know instead. Don’t let aversive trainers set the agenda. We want to keep the conversation on our terms, and that means talking about the benefits of reward-based training and the technicalities of how to do it (because it is complicated and people often need coaching to do a great job of it). Now maybe you’re thinking that I linked to posts on dominance and punishment and so on at the top of this article. Yes, I’ll put my hands up, I have written on those topics (although not necessarily in the way you’d expect). In my defence, I spend most of my time writing about evidence-based ways to care for our pets. Luckily for me, this is where my interests lie. If someone really wants to get into an argument, send them to the science to find out for themselves. 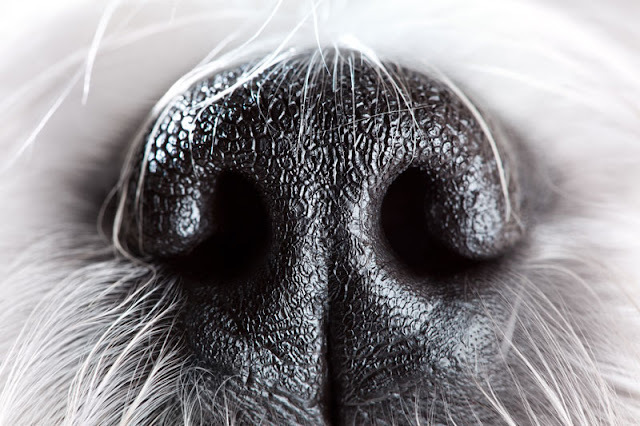 You’ll find a list of scientific articles on dog training on my website. Sometimes people are very invested in ideas that are wrong (that they don’t know are wrong). Imagine someone has been told by a dog trainer that in order to be a good dog owner, they must follow some kind of outdated method of dog training. 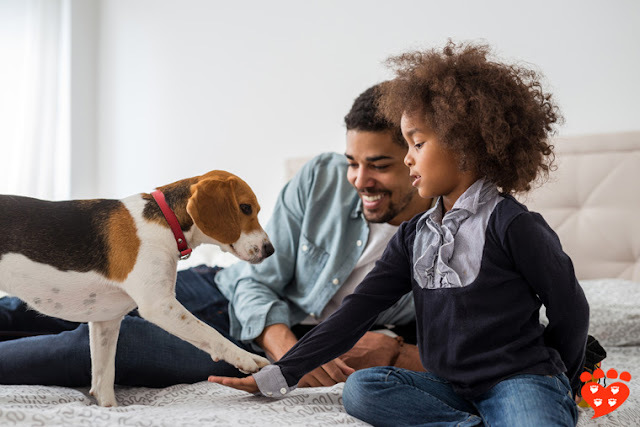 Because the person loves their dog, and because they trust their dog trainer, their own beliefs about being a good dog owner might be tied in to using the methods the trainer recommended. In this case, when we tell someone that the idea is wrong, it’s possible they will perceive it as a threat to their own beliefs about being a good dog owner – in other words, a threat to their identity. This can sometimes make them hang on to that idea even harder. So again, telling them the idea is wrong may have the opposite effect to the one intended. "people who generate arguments supporting misinformation struggle to later question and change their initial attitudes and beliefs." If people are going to put cognitive effort into understanding something, it's best to encourage them to put that effort into thinking about the correct ideas rather than the wrong ones. I think this idea will resonate with dog trainers, because we're used to telling people how important it is for the behaviours we want to be rehearsed many times, and to remove the opportunities for the wrong behaviour to be rehearsed. So there's an analogy that makes sense here. Helping people to understand why something is the case can help to counteract misinformation. For dog lovers, this includes helping people to evaluate the credentials of dog trainers so that they can choose a good trainer. It means talking about the benefits of reward-based training methods, and how we know that they are humane and effective. 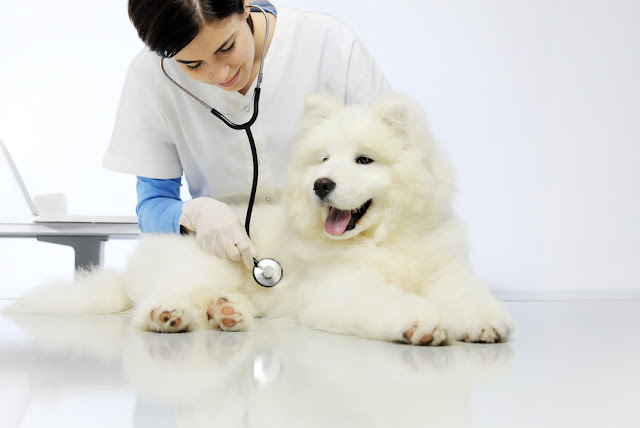 It means talking about cooperative veterinary care, low-stress handling, and Fear Free vet clinics. (One of the many things I love about Fear Free is that Fear Free vets know the importance of referring to reward-based trainers). 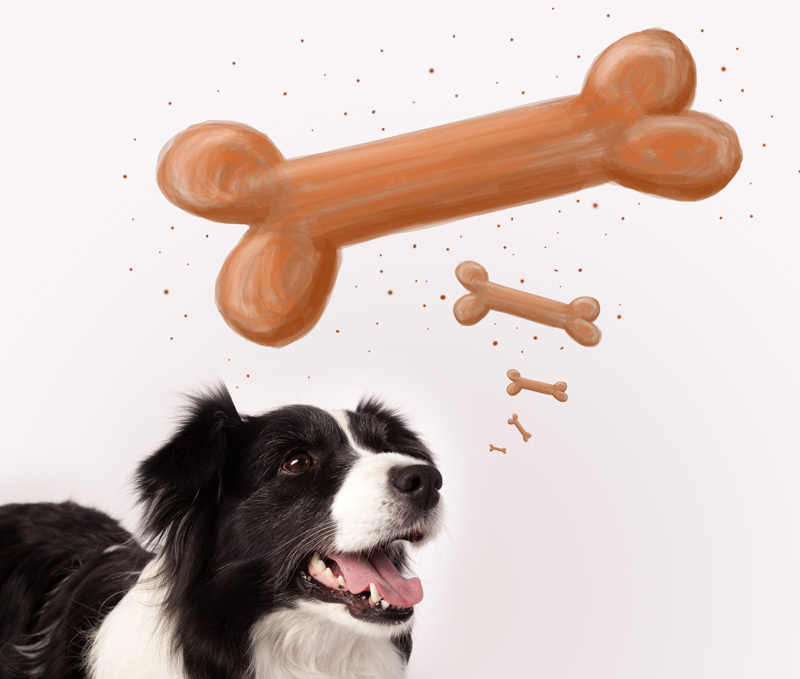 And it means finding ways to engage people and encourage them to participate, such as by scrutinizing claims or asking questions, as well as helping people trouble-shoot any issues they are having (such as helping them understand the need to use good dog training treats instead of kibble). Misinformation can be hard to counter, and it takes valuable time and resources away from spreading the messages that we do want to get across. This is why it is so important to be positive about reward-based dog training and good animal welfare. It’s one of the reasons I like to share great posts by others in my monthly newsletter, and to discuss good books in the Animal Book Club. 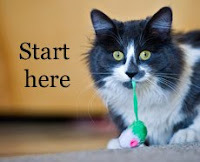 There are many people producing great content about dogs (and cats). Every time we share these articles, we are helping to contribute to a perceived social norm that the treatment of animals should be humane and in line with principles of good animal welfare. (And we are encouraging those trainers and authors to produce more such material too). When TV companies or other organizations promote dog trainers who use outdated methods, we can let them know why that's a problem. Other tactics we can use include recommending (or giving) good dog training books to friends when they get a new dog or are having issues with their pet. And we can simply talk about what we’ve learned about how to train our dogs, the struggles we’ve faced, and the resolutions we’ve found. Changing behaviour isn’t just about individuals; it’s also about building a society that supports and encourages people to behave in good ways. There are many ways to do so, and I would like to thank you for what you are doing to promote good animal welfare. It matters to every dog or other animal in our lives, because it affects their welfare. 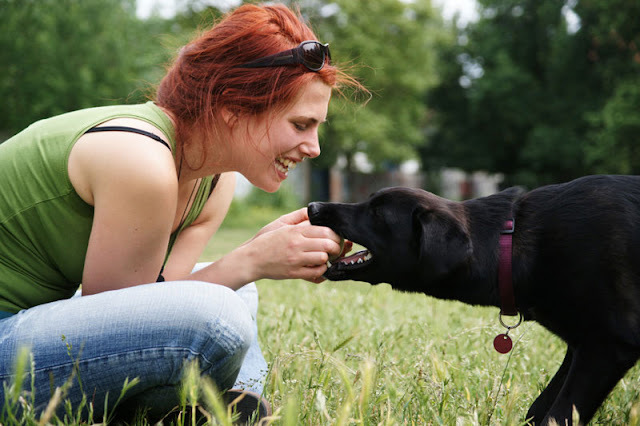 Dog training should be fun and make dogs happy. Happier pets means happier people. It’s a great thing to aim for. Repeating misinformation (e.g. about dominance) can make it seem familiar and therefore true. If you must repeat it, give a warning about it first, and then provide new information to take its place. Even a few voices can make a difference to the perception of social norms. Focus on the message you want to get across, and say or write it as clearly as possible. Help educate people on how to evaluate dog trainers’ credentials and information about dog training. Comment on and share good quality information to make it accessible to people and to show that the misinformation is not the norm. If you're interested in this topic, you might like to know that I'll be presenting a webinar for the Pet Professional Guild entitled Debunk, Support Science, or Tell a Story? on Tuesday 16th July at 11am Pacific/2pm Eastern/7pm British Summer Time. Anyone who registers in advance will automatically receive a recording after the webinar. 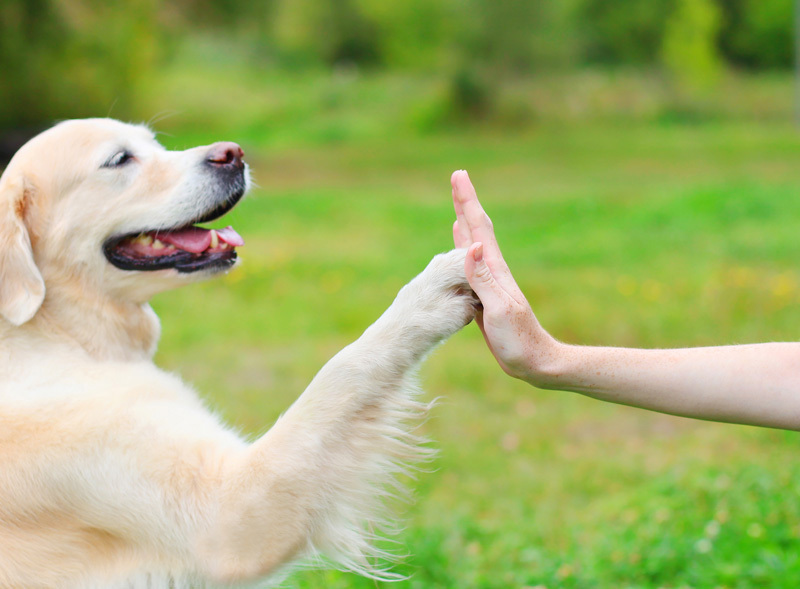 What do you think are the best ways to teach people about dog training methods? Thank you Zazie Todd for yet another well written and informative article that I can share with clients and colleagues. I co-chair the Shock-Free Coalition (www.shockfree.org) and we are working to inform and educate pet owners and professionals on the risks of using aversive methods and the benefits of using force-free methods...in polite, respectful and science-based ways. I will share this with the committee and on my business Facebook page. Thank you. Thanks Daniel! I'm glad it is useful to you. Thank you for all that you do at the Shock-Free Coalition. It's such important work! One of the things that makes me most sad - and its related to point 1 and 3 - is when a tiny handful of animal professionals feel the need to publicly call out their colleagues on technicalities, seemingly for no reason other than to disrupt. I'm all for nuance, but nuance includes understanding when, where and how to make these critiques. We're all familiar with: "you're not actually technically "positive" ALL the time so don't call yourself a positive trainer"; or "technically dominance exists so you're wrong for telling the public not to worry about it"; or writing a blog post about the fact that mother dogs do indeed use punishment on their puppies...and nothing else; or the tired lie that positive trainers never agree on anything. Such critique could so easily be re-framed, be productive and help unify the field. It gives aversive trainers fodder, creates the appearance of disunity/disagreement and it's using knowledge underhandedly. I think it's unfortunate when people give the impression that there isn't a consensus about the need to use reward-based training methods, as it's very confusing for the general public. Framing messages is an important part of getting the message across. Thanks for your thoughtful comment. Hey Zazie, In 2017 I adopted a puppy that has problems (seizures), already done all exams and ended up detecting that it is idiopathic .. Today its controlled, but I realize that always occurs when she gets very agitated, is there any tips for this? Unfortunately here in Brazil there is not much information about it. Thank you so much for your time writing these wonderful articles.